If you haven’t given these miracle products a try, you are really missing out. And the press they’ve gotten recently isn’t just another passing trend. These creams pack a serious punch with primer, sunscreen and moisturizers all in one bottle. But not all BBs are created the same. Here are some options that suit your skin and your needs. One of the first brands to launch a BB cream in the U.S., this cream is silky smooth and packed with moisture. It has a fuller coverage and adds a glow to skin while still protecting it with SPF 15. Apply this cream over your regular moisturizer for flake-free, flawless skin all summer. 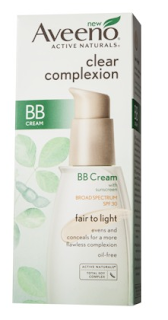 This BB cream comes out colorless until you apply it onto your skin, which causes the pigment beads to blend into the perfect color. You’ll love the primer-like balm that creates a matte finish for those on the oiler side. Don’t want to clog pores? Try this cream that brightens the complexion, and its oil-free formula won’t make you breakout. It also provides enough coverage to hide any acne you might already have. While you might shy away from a product with “youth code” in the name, don’t be so quick to judge. This cream is infused with skin lightening ingredients, and although its original marketing is towards age spots, it can do wonders for imperfections, such as acne scars. It’s also ideal for those who want coverage without wearing a full face of foundation. This lightweight formula feels great on the skin and creates a dewy finish. It creates a youthful glow and is perfect for those who want the benefits of a BB cream but want a more natural finish. Confused as to what you want out of a BB cream? Try this one. It has a smooth texture, semi-sheer coverage with a finish that isn’t too shiny or dry. Yes, they’re for hair too! Hair gains 10 great benefits in one powerful product. This hair balm repairs damage, prevents frizz, adds shine, moisturizes, heat protection and more. Use it on wet or dry hair for healthy, glossy hair. 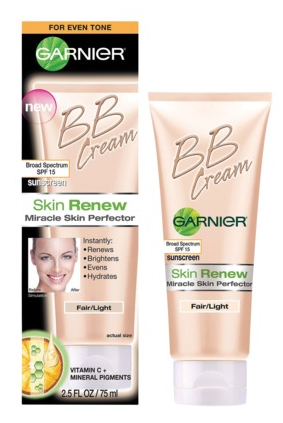 I have been wearing the Garnier BB Cream since it came out and I love it. It has a oily skin formula that I now use that is oil-free!